Is it possible to say that I have the best fans ever? Seriously, you guys are awesome!! Thank you so much for jumping full force into the Vintage Photo Contest. I hope you guys enjoyed reading about all the hoodies we did in the past, as well as what we are doing now. It was fun going down memory lane, thanks for joining in! 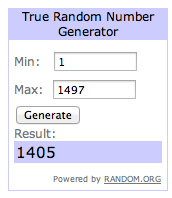 As I was adding up all the comments I kept thinking…I hate having to pick winners. You all are winners in my book and I want you all to know how appreciative I am to you for helping me spread the word about Evy’s Tree. I love you all so much! 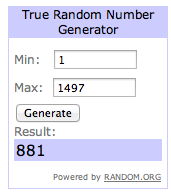 So thanks to Random.org, here’s our winners! If this one of these names is YOU…you won $100 credit to the shop!! CONGRATS!!!! Could you please email Nicole at Nicole@evystree.com within 72 hours to claim your prize? 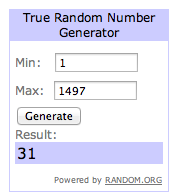 If we don’t hear from you by then, we’ll have to pick a new winner! Again, a HUGE thank you to everyone for entering! Don’t forget that Preorders for our Fall 2013 line starts tomorrow, July 30 at 7 PM PST! Use code Fall 25 for 25% off your entire order. How’s that for a deal? For more info on the preorders, please read HERE. This entry was posted in Giveaways and giveaway winners by evystree. Bookmark the permalink.